We’ve talked about the history of a number of extreme sports in our magazine but have you ever considered when and where wakeboarding started? Well the history of wakeboarding dates back a number of years and it was possibly unsurprisingly formed from a few different sports which do have a very long history behind them. Surfing has been a very popular sport for hundreds of years (you can read about the history of surfing here) and it was during this time that historians recall surfers holding onto a rope and surfing behind either a truck or a boat. As this started to take off smaller boards were fashioned to make surfing behind a boat a little bit easier. By the 1980’s surfing behind a boat had become increasingly popular which led to Tony Finn, a San Diego Surfer to develop what was then known as the Skurfer. The Skurfer was a cross between a surfboard and a water ski and it enabled the first carving moves to be made on the water. The riding style was almost like a cross between skateboarding and snowboarding and as there were no straps or bindings to keep riders on they could stand anywhere on the board (and often fall off pretty fast). The mid 1980’s saw the first real progression being made when bindings were drilled onto the boards to help make the sport much easier for participants. Oddly enough the bindings were designed by two people at exactly the same time – Tony Finn and Jimmy Redmon -and neither knew that the other was inventing them. The significance of this development cannot be underestimated as it allowed surfers to perfect some amazing skills including some air jumps that were previously not possible. The sport was edging away from surfing behind a boat now to becoming closer to water skiing. Throughout the rest of the 1980’s Tony Finn continued to promote his Skurfer complete now with foot bindings and this led to what was called skiboarding. The first Skurfer championships were announced in 1990 and even though they were televised by ESPN the sport still struggled to gain any real following and it is thought that the lack of technology and innovative designs are what held it back due to only experienced riders truly being able to do any of the tricks that were a part of the sport. With the sport still lacking much popularity, owner of H.O sports Herb O’Brien started designing more innovative boards that would make the sport much easier to those who weren’t truly experienced. This led to the innovative design of the first ever wakeboard which he called the Hyperlite. Although many still called the sport skiboarding, within a few years it was generally regarded as wakeboarding and this soon became the official name for the sport. In 1989 Jimmy Redmon established the World Wakeboarding Association (WWA) which helped to develop the integrity and rules of wakeboarding which are still in place to this day. This association is now thought to be the guru of wakeboarding and it continues to this day. Jimmy Redmon who had earlier designed the bindings for previous boards took the design of the Hyperlite and further changed the design. The ‘twin-tip’ design that he created improved the performance of the board and it was so successful that this is the same design that is still used to this day. 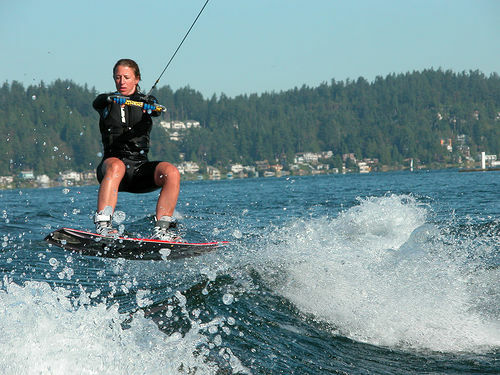 Professional wakeboard events began in 1992 and the first wakeboarding publication was produced in 1993. Both of these still continue to this day. 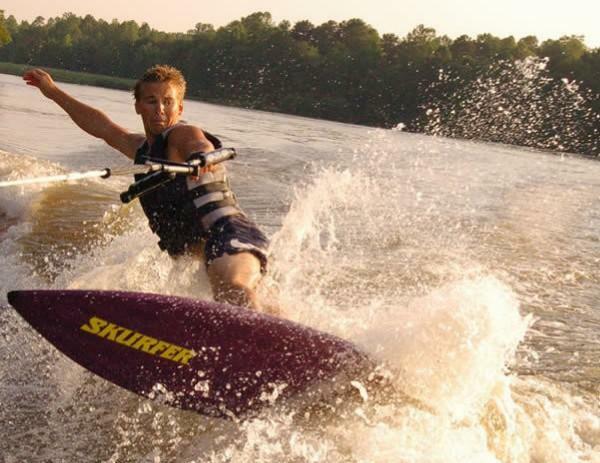 This entry was posted in Wakeboarding, Water Sports and tagged History, wakeboarding. Bookmark the permalink.